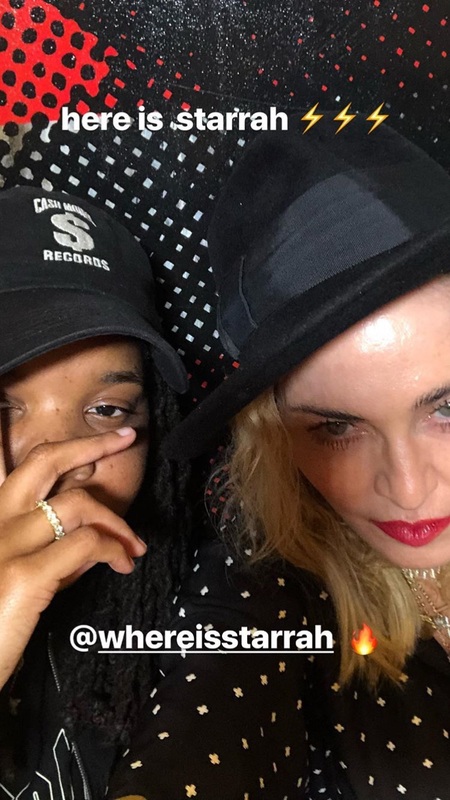 Madonna is currently in London working on her new music and revealed on Instagram she is collaborating with Starrah and Billboard. Starrah, is an American songwriter, singer and rapper who co-wrote songs such as Rihanna’s “Needed Me,” Katy Perry’s “Swish Swish”, Nicki Minaj’s “No Frauds” and Camila Cabello’s “Havana”. Montreal-based producer Billboard has worked with Ariana Grande, Britney Spears, Shakria, Dillon Francis, Kesha and Ellie Goulding. Billboard also co-produced “Ghosttown” off Madonna’s Rebel Heart album.